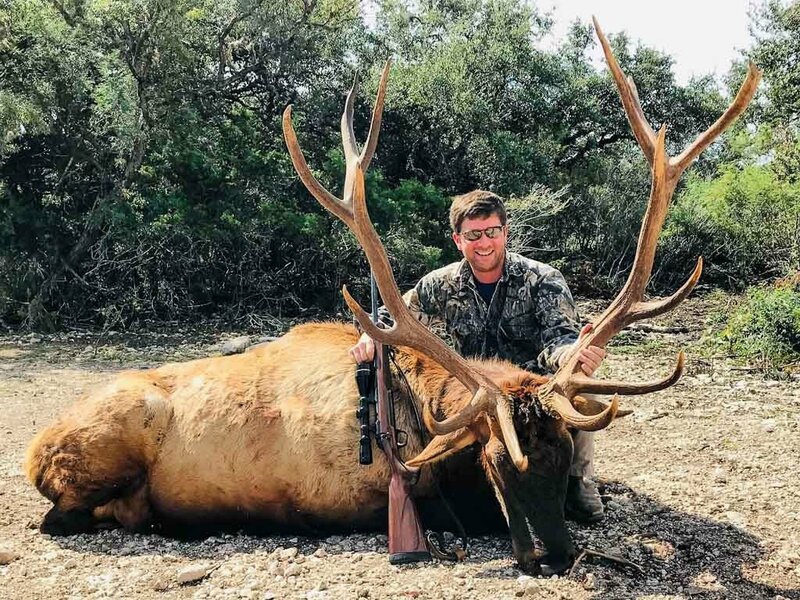 Elk Hunting Season: There are no seasonal restrictions on Elk, however August is the best time of year if you’re looking for an Elk in velvet and Sept-Feb for hard antlered. There are very few species as majestic-looking as the mighty Elk. 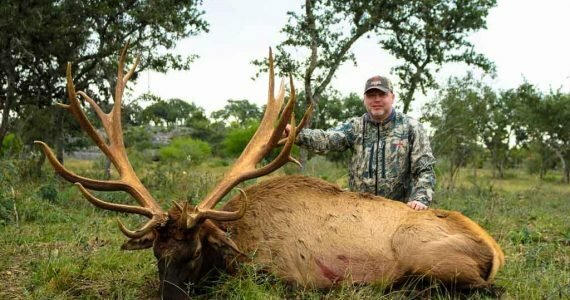 This massive deer is the second largest in the world and has antlers that can grow to more than four feet long! 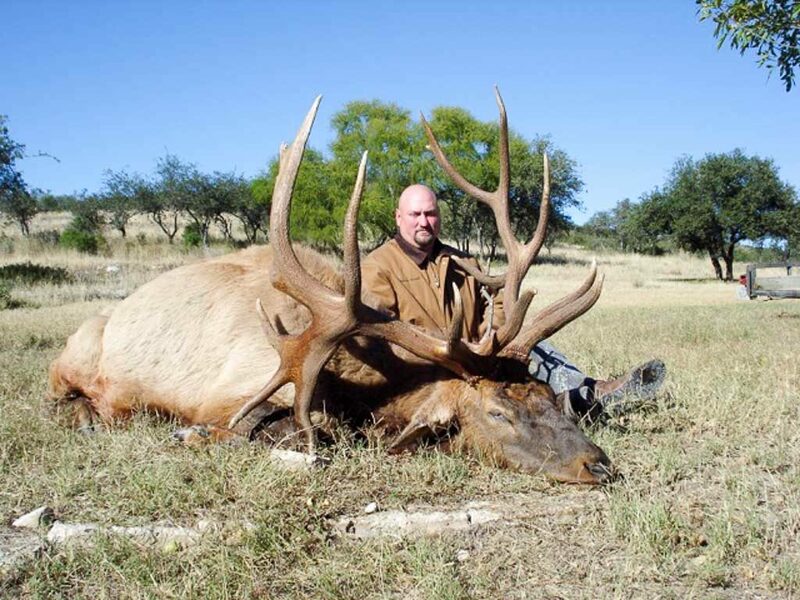 Elks provide a very challenging and exciting hunt that is sure to get your heart racing and your adrenaline pumping! 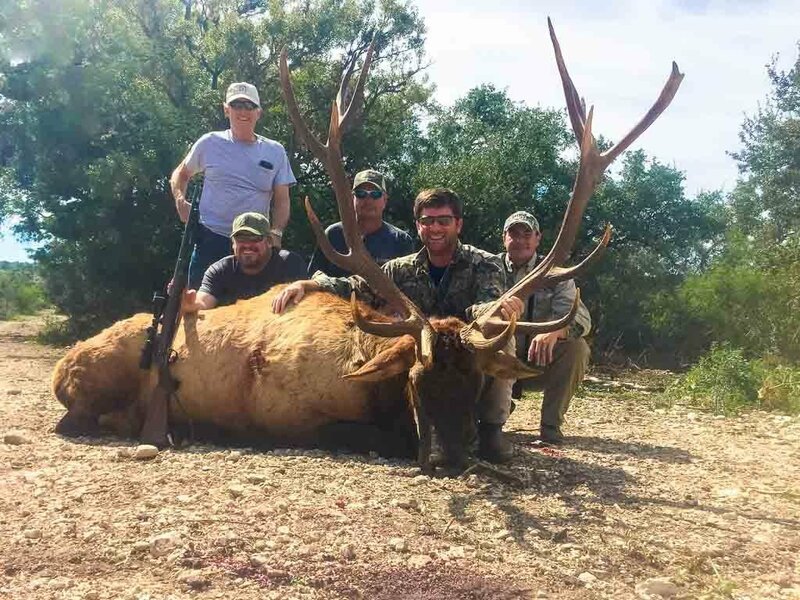 You may hunt our trophy Elks using any method you prefer, including Spot and Stalk, Bow Hunting, Rifle Hunting, Pistol Hunting, Safari Style, or from a Blind. 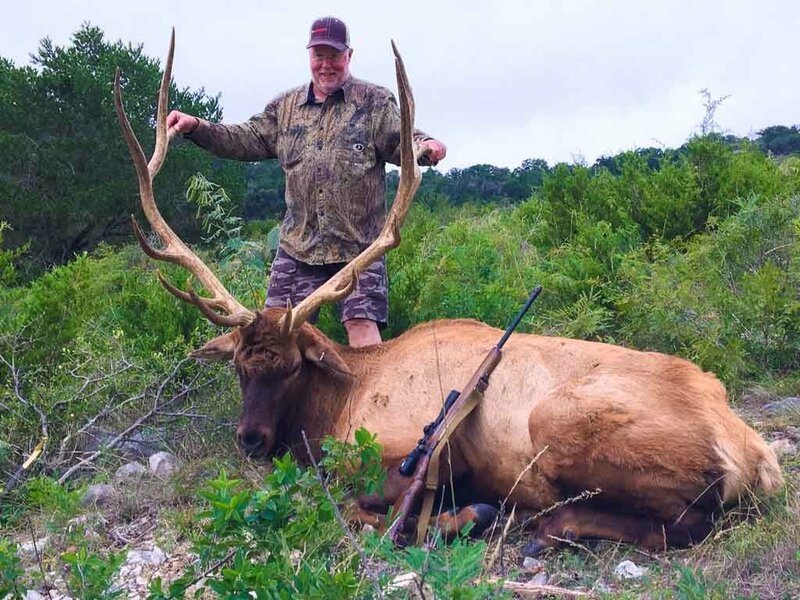 All of our Elks are free ranging on over 18,000 acres of Texas Hill country! 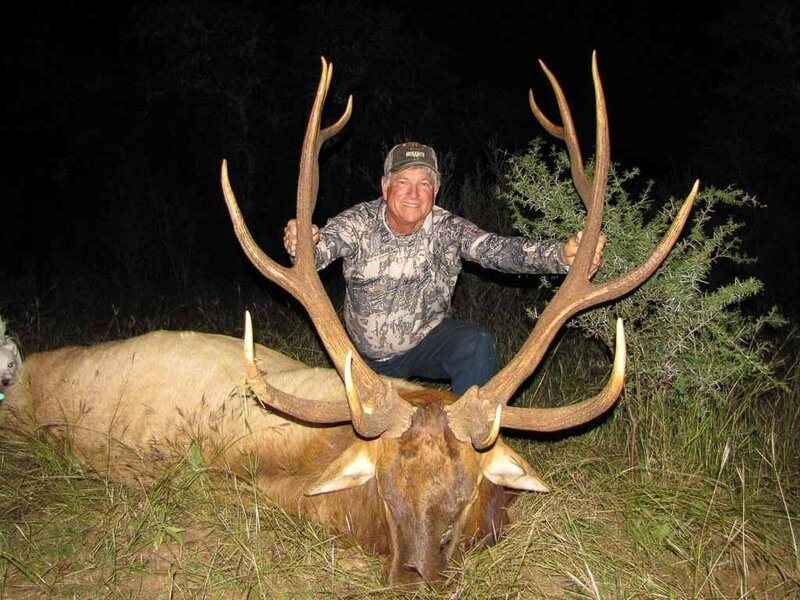 Elks have a pair of ivory teeth (where a dog’s canines can be found). 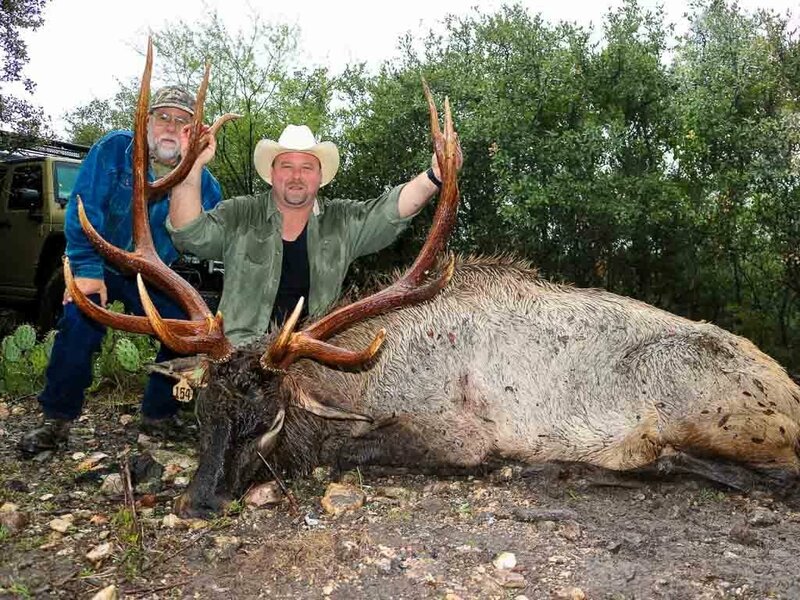 Bull Elks have a urethra that points upwards. 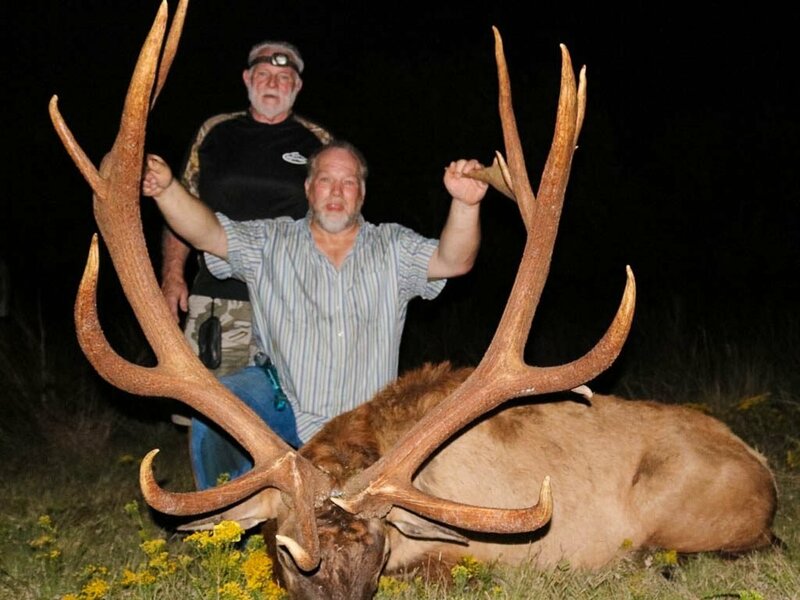 This allows them to spray themselves with urine in order to attract elk cows. They can also be found digging holes, urinating in them, and rolling around in their own urine. 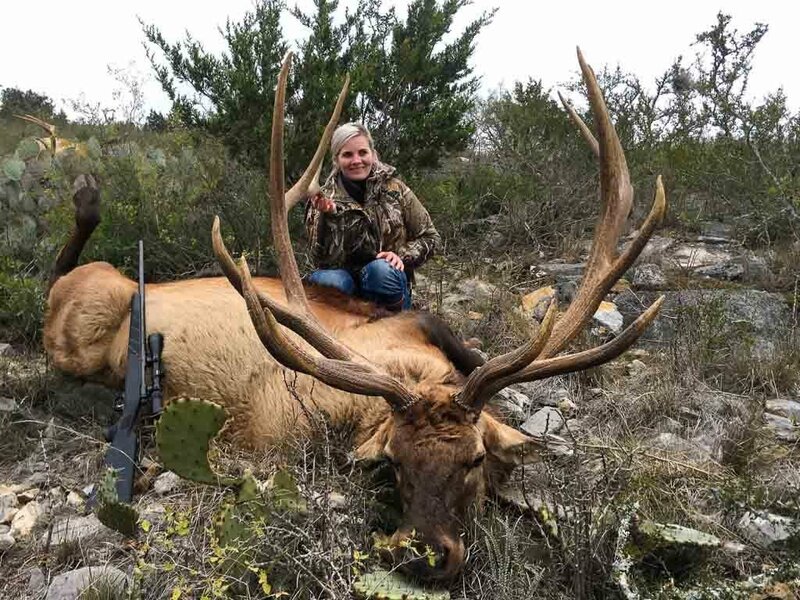 Elks consume 8-15.4 pounds of vegetation a day. 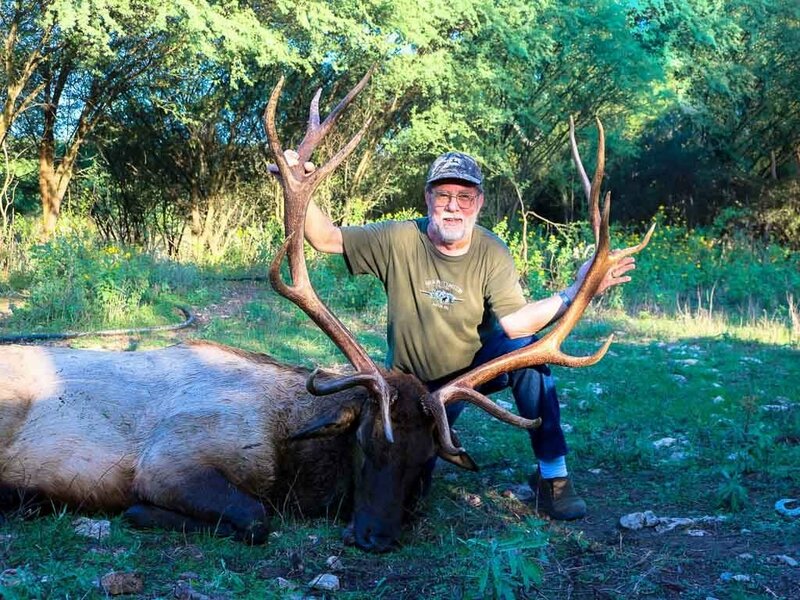 Elks are able to interbreed with Red Stags and do so frequently. 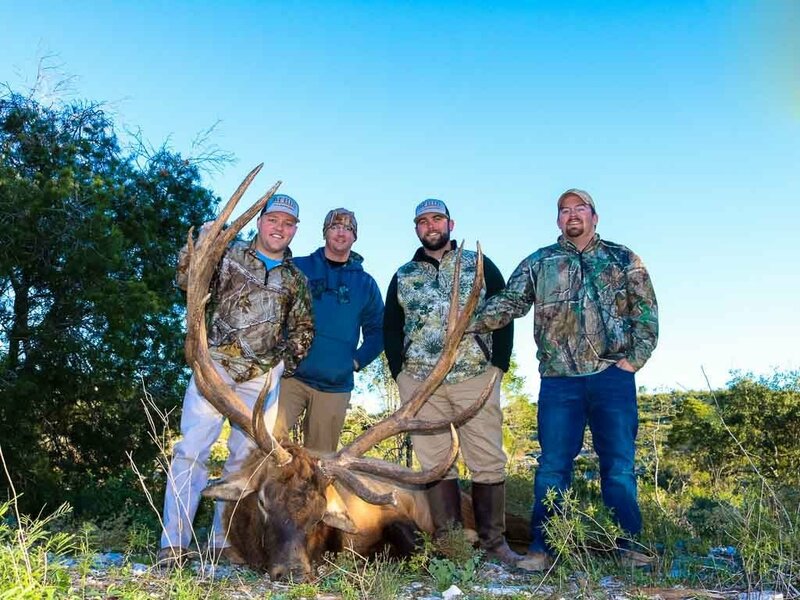 Elks are one of the most dangerous species when in rut. Bulls possess a loud vocalization of screams that are commonly called bugling. 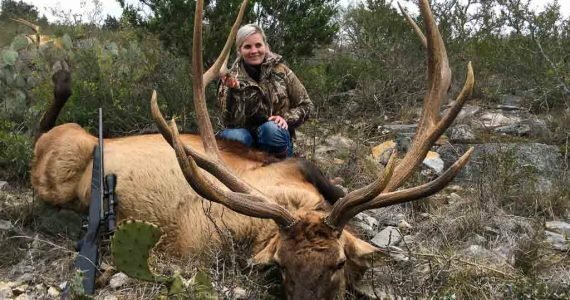 This can be heard for miles and is associated with the elk adapting to open environments such as meadows, savannas, parklands, and other habitats where sounds can travel far. 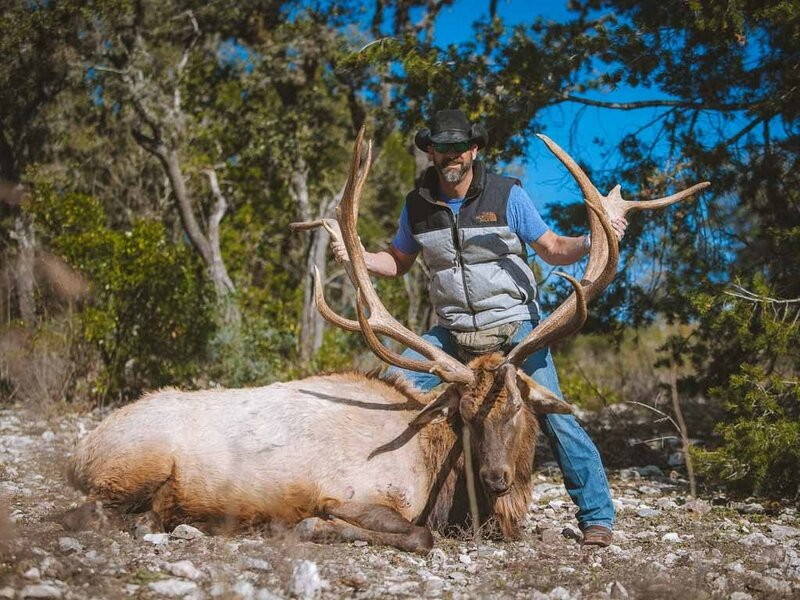 Elk antlers can grow up to an inch a day and can weigh over 40 pounds! They can beat horses in a short race and can reach speeds up to 45 miles per hour! 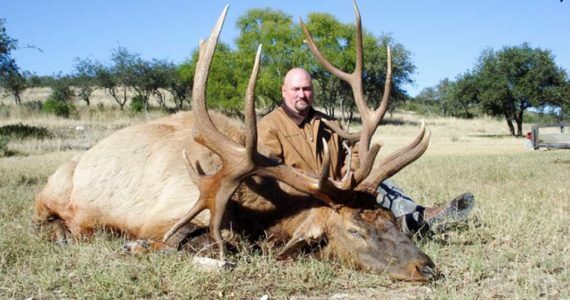 Elks are a favorite prey of wolves. 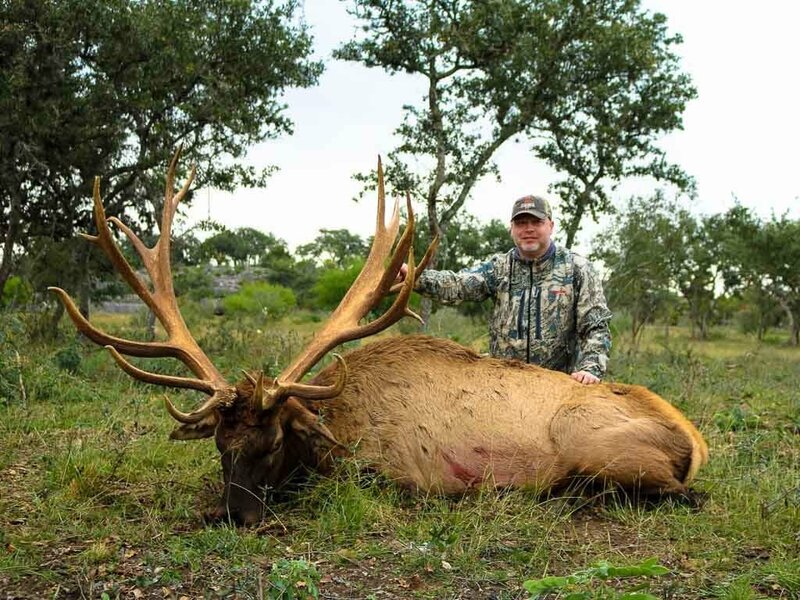 We recommend making Elk hunting reservations well in advance to secure availability.